January 20, 2019 Los Angeles Angels signed free agent RHP Cody Allen. 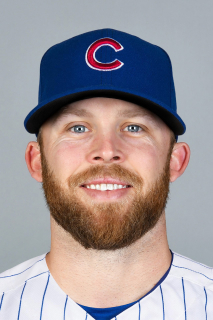 October 29, 2018 RHP Cody Allen elected free agency. June 23, 2017 Cleveland Indians activated RHP Cody Allen from the paternity list. June 22, 2017 Cleveland Indians placed RHP Cody Allen on the paternity list. July 20, 2012 Cleveland Indians selected the contract of RHP Cody Allen from Columbus Clippers. April 28, 2012 Cody Allen assigned to Columbus Clippers from Akron Aeros. April 12, 2012 Cody Allen assigned to Akron Aeros from Carolina Mudcats. March 5, 2012 RHP Cody Allen assigned to Cleveland Indians. September 5, 2011 RHP Cody Allen assigned to Kinston Indians from Akron Aeros. August 31, 2011 Cody Allen assigned to Akron Aeros from Lake County Captains. August 7, 2011 Cody Allen assigned to Lake County Captains from Mahoning Valley Scrappers. June 16, 2011 Cody Allen assigned to Mahoning Valley Scrappers from Cleveland Indians. June 15, 2011 Cleveland Indians signed RHP Cody Allen.